Europe’s leading social media event. Two day event featuring four dedicated conference streams, workshops and exhibition to be held at Olympia conference centre in London. Conference streams include: Social Media World Forum, Enterprise Social Media, Social TV , Mobile Social Media Cloud Computing Congress. The conference will be featuring key speakers from global brands, organisations, social networking publishers and developers, pioneering social media leaders, agencies, content producers plus many more. Speakers include representatives from Facebook, Bebo, LinkedIN, Marks & Spencer, Barclaycard, Ikea, Virgin Atlantic, Orange, COI, and Mercedes-Benz – a pretty good line-up. Visitors to the conference and the exhibition will highlight the latest in brand engagement using social media, social media monitoring tools, new avenues for social network advertising, and building community based management in your brand. There will also be information on social media gaming & virtual currencies, building social media apps as well understanding the market for virtual good and virtual currencies. The impact of social media on politics, the impact Twitter is having in politics and celebrity domains, and the role of social media within PR will also be discussed, and giving the upcoming #ukelection this should be very interesting. The event official Twitter account is @SocialNetworkWF and the hashtag is #SMWF. They are also running a SMWF Tweet Competition – so make sure you use the hashtag. I also hope to be blogging from the event next week. 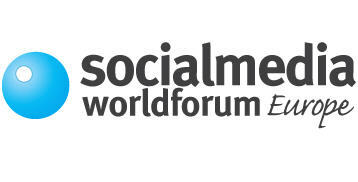 I’ll be attending the Social Media World Forum on Monday. I’m so excited, went to the event last year (when it was called Social Networking World Forum) and really enjoyed it. Perhaps, we can meet up?